Home General News Will Nottingham become the first menopause-friendly city? Will Nottingham become the first menopause-friendly city? Menopause in the workplace is fast becoming a hot topic. But can Nottingham make its mark as the UK’s first menopause-friendly city? Yes, if online community Henpicked.net gets its way. The site, aimed at women over 40, is hosting a Menopause in the Workplace event later this month, designed to educate and inform business leaders, HR professionals and employers about the menopause and their responsibilities to women in their workforce. The event will focus on training employers on the importance of supporting menopause in the workplace, helping leaders understand the symptoms a woman is likely to struggle with and how to help. With speakers from the medical and legal profession, along with communications support, the event is designed to get the subject of menopause firmly on leaders’ agendas. Henpicked founder Deborah Garlick said: “We hear increasingly from women who have struggled or are struggling through menopause. “We’re working until we’re older these days – there are 3.5 million women in the workplace aged between 50-65. So it’s vital they’re getting the right support at work to allow them to not only continue to enjoy working but to get the best results for their employers”. Women on average reach menopause at the age of 51, with 75% experiencing symptoms, which can usually last between two and 10 years. The event also looks at changes – often minor – which employers can make to improve their employees’ quality of life at work. These include greater awareness about the menopause and talking about it openly; better access to informal and formal sources of support; improvements in workplace temperature and ventilation; and increased flexibility of working hours and working arrangements. GP and menopause expert Louise Newson, one of the speakers at the event, said: “Some women really do suffer during menopause and it is important employers take this into account. “From debilitating hot flushes to lack of sleep, reduced confidence and anxiety, there are a host of physical and psychological symptoms which can detract from a woman’s fulfilment at work. With the right support, this can be rectified”. 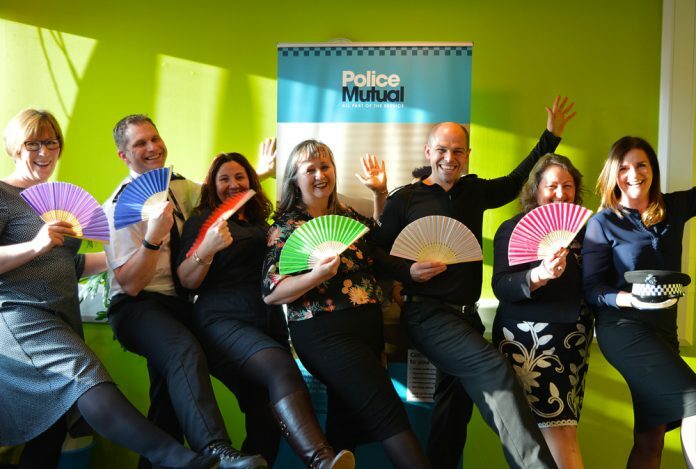 Nottinghamshire Police is already firmly on board, with a new policy and managers’ guide introduced by former Chief Constable Sue Fish, who is a huge advocate of supporting menopause in the workplace initiatives. She said: “Nottinghamshire Police recognises our responsibility to all our officers, staff and volunteers concerning the menopause‎. “This is not just about women, but helping men to have the knowledge to appropriately support women in the workplace. Additional benefits are that all staff can provide a better service to the public and it also helps them in their private lives. I see it as a real win- win-win”. Garlick added: “As well as being a good way of supporting employees, this training makes sound business and financial sense. “There are an increasing number of tribunals linked to menopause, and it is wise for businesses to protect themselves by accessing the right information”.